Compression Elbow fittings are used to make a 90° turn without risk of kinking the tubing. 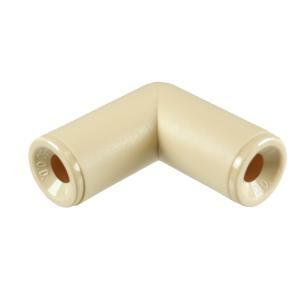 Dig’s misting mainline compression fittings pair with Dig’s Ocean Breeze 3/8” tan misting line with .450” OD. Compatible with Dig's Ocean Breeze Misting Kits.